Marylebone Train Station is served by Chiltern Railways and will transport you to some fabulous destinations for a day trip from London. You can get to Royal Leamington Spa in just over an hour, where you can relax in some of England’s best spas, or head to Bicester North in a journey time of less than 1 hour for chic outlet shopping at the wildly popular Bicester Village. Pretty Buckinghamshire towns of Ayslebury and Amersham are within easy reach, and it only takes 1 hour and 45 minutes to get to ‘Britain’s second city’ Birmingham for fabulous food. In Marylebone you’re at the heart of everything that London has to offer! The Bakerloo line runs through Marylebone Tube Station and this takes you direct to Oxford Circus in 5 minutes where you can experience the shopper’s paradise of Oxford Street. If you want to ride on the amazing London Eye, take the 10 minute journey to Waterloo. Don’t forget to take a 10 minute trip to St Paul’s to visit the beautiful St Paul’s Cathedral either. If you walk to nearby Baker Street Tube Station you can hop on the Jubilee Line and get to Canary Wharf in 20 minutes where you can explore this vibrant, district of East London with a wide range of shops, restaurants, pubs and wine bars. If you want to get back to nature, then Kew Gardens is unmissable. Kew Tube Station is only a 25-minute journey from Marylebone. 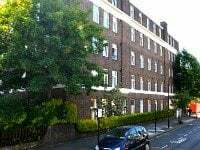 If you decide to drive around Marylebone you’ll find an NCP car park in Crawford Street. Don’t forget that Marylebone is in tube zone 1, which is subject to the congestion charge. If you don’t want to drive or get public transport, how about a taxi? 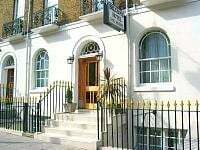 You’ll find Park West Cars close to Marylebone Station on Daventry Street. Plenty of London’s amazing tourist attractions are on the doorstep of Marylebone, but if you fancy taking a stroll a bit further afield, why not experience some of North London’s charm? It’ll only take you 30 minutes to walk to trendy Camden and its famous market. Or you could take a 30-minute walk to buzzing Soho to sample some of the amazing restaurants in lively Chinatown. Shaftsbury Avenue is also only 30 minutes away and here you’ll find London’s well-known Theatreland (it’s definitely worth catching a West End show during your trip to London). Take a 25 minute stroll to exclusive Knightsbridge and you can visit Harrods (the world-renowned department store) and stunning Hyde Park. Even the Queen’s official residence - Buckingham Palace – is only a 30-minute walk from Marylebone.